a new television repeater with coverage over the greater Dublin area. The repeater, which is located on the three rock mountain, will transmit on 2390Mhz and receive signal in on 1249Mhz. 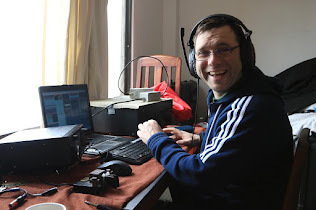 While not on the air yet, initial tests have proved sucessful with perfect pictures received 60 miles away at the EI2ATR Cavan repeater site. Co Cavan, This repeater currently transmits on 1276.5Mhz, 2370 Mhz and 10.040Mhz and gives good coverage of Cavan/Louth/Meath Area.